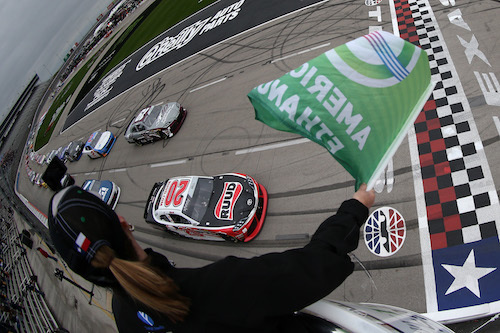 during the NASCAR Xfinity Series My Bariatric Solutions 300 at Texas Motor Speedway on March 30, 2019 in Fort Worth, Texas. 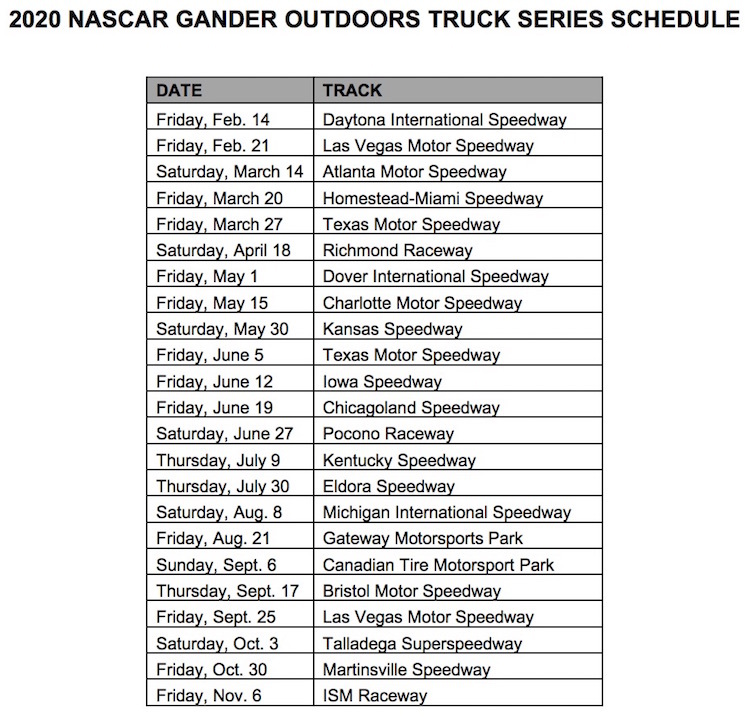 On Wednesday, NASCAR released its 2020 schedules for the Xfinity and Gander Outdoors Truck series. 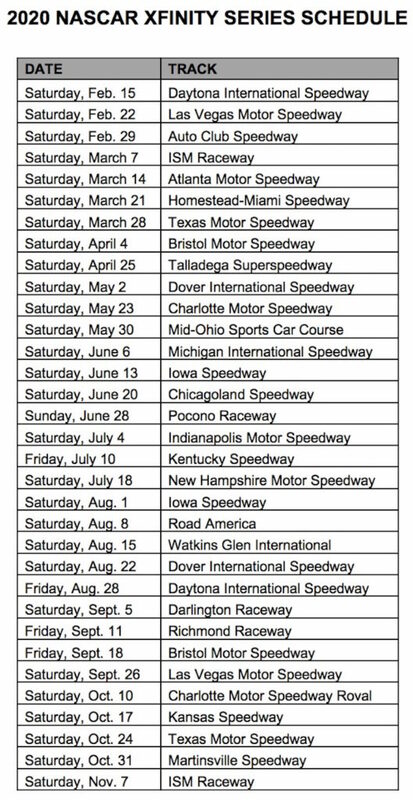 Next year’s schedule for the Cup Series was released last week. As expected, movement of Cup dates affected companion races by the Xfinity and Truck series, including a move of the season finales from Homestead-Miami Speedway to ISM Raceway near Phoenix. Also, all three series will run their respective final playoff cut-off races at Martinsville (Va.) Speedway. The Xfinity Series race at Martinsville next October will be the first series race at the track since 2006 and only the second since 1994. Meanwhile, the Truck Series will contest Richmond (Va.) Raceway for the first time since 2005. Pocono Raceway will host four NASCAR national-level races in a span of two days. In addition to the previously-reported Cup Series doubleheader, the Truck Series will run a race on June 27, the day of the first of the two Cup races, and the Xfinity Series will race there on June 28, the same day as the second half of the Cup doubleheader.